There was a free-roaming droid gliding around Tomorrowland at Disneyland Park this afternoon and we have some video of it for you. 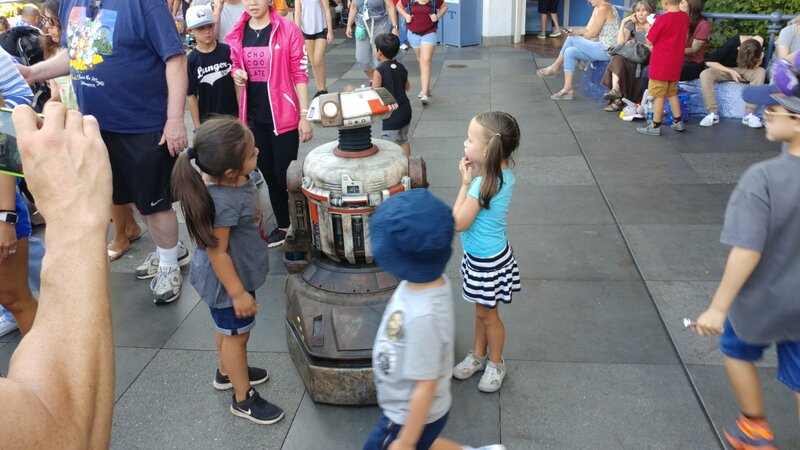 This is widely believed to be a test of the roaming droid technology that will be used in Star Wars: Galaxy’s Edge when it opens in 2019. In case you were wondering, his name is Jake!